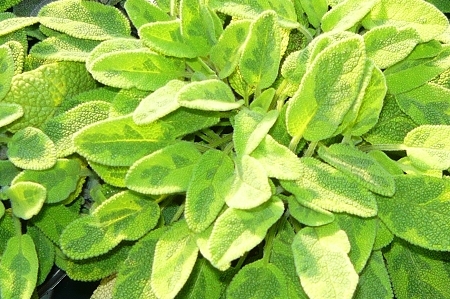 Golden Sage - (s. officinalis 'aurea') Beautiful culinary sage variety features dark green leaves variegated with golden yellow. Good aroma and flavor. Nice in containers. Adds interest and color to the herb garden. Perennial zones 7-9 Live starter plant in 3 inch container.